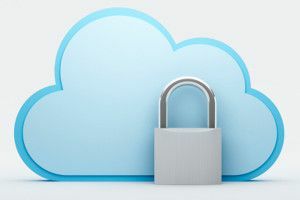 Nirvanix, a San Diego based cloud storage provider with patented backup solutions, recently announced that its customers have two weeks to retrieve their data from their cloud or it will be lost. And this is not the first time a cloud provider left its users out on a limb. In 2008 The Linkup also told its users to download their data or it would be deleted. Although some companies were able to find a new solution very quickly, many users lost their data. Since cloud technology has received the spotlight in recent years, business owners assume it is the best option for their business continuity needs. At the same time, new tech companies are popping up to take advantage of the demand. As a result of low commitment from new cloud providers and lack of information on the part of business owners, many companies are putting themselves at risk. ThinkGard exists to identify and mitigate potential data disasters, and we can develop a system that incorporates cloud backup with other intelligent technology creating more reliable, long-term solutions. Cloud data storage is not a Disaster Recovery Solution! Replicating your data to a remote cloud storage service is definitely a piece of the puzzle when it comes to Disaster Preparedness. But having your data securely backed up doesn’t mean you can automatically recover from a disaster. Your operating systems have to be functioning and you have to be able to re-introduce the data to get your operations back online. Just having the data available doesn’t mean recovery is certain. A Disaster Recovery Solution is much more than Cloud Storage. It is a system that incorporates 3 core principles to ensure 100% certainty in your ability to recover. A local device which stores your data and server configurations and is readily available for virtualized operation in the event of a disaster. A remote storage solution which securely accepts and encrypts your data and configurations in at least 2 distant locations which are greater than 500 miles away from your facility. This solution should offer the ability to virtualize the operating systems and allow complete continuity in a cloud environment. A stringent testing regime which involves creating mock failure scenarios and verifying your ability to locally and remotely recover your servers and virtualize the critical operating systems. This is the most important aspect of the solution because until you successfully test your system, you can’t claim its ability to insure recovery. A Disaster Risk Assessment could be the key to staying in business. The truth is that 70% of business that suffer a data disaster are out of business in 2 years. Sadly, Disaster Preparedness is not a primary concern for most businesses, until it’s too late. Taking a proactive approach could provide insight into challenges that you had no idea existed. The bottom line is this…..
You have very little ability to prevent or avoid a disaster, but you can have 100% control of your certain ability to rapidly recover and continue your business! At ThinkGard our ultimate goal is to create a Business Continuity Solution that provides you with absolute certainty that your data and operating systems are fully backed up and always immediately available.